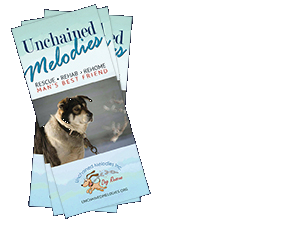 Unchained Melodies believes in early education to teach children responsible pet ownership. We are thrilled to announce our new coloring books are here and ready to get into the hands of the children of our community. 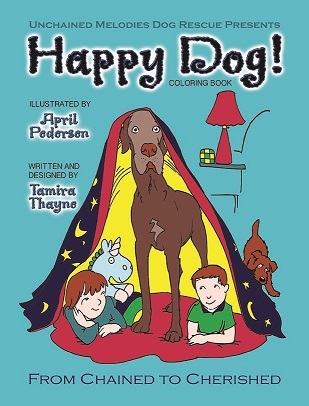 This coloring and activity book has 32 pages of coloring fun, along with puzzle pages, telling the story of a dog that ends up chained outside, sad and alone. The story ends with a happy tail of him coming inside to live as a family pet and best friend to the entire family. An amazing story written and illustrated by Tamira Thayne of “Who Chains You Publishing” and adorable illustrations from April Pederson. This book allows us to teach our children that dogs are family pets and we are responsible for caring for them. We are now scheduling presentations in schools and for youth groups. If you are interested in a presentation in your classroom, meeting or event, contact us at unchainedmelodiesinc@gmail.com. ← HUGE Victory For the Dogs of Columbia, MO!